If you’re a newly engaged woman (or man) and planning your customary introduction and Nigerian traditional marriage ceremony, we want to make the process less stressful for you – scroll down to see our exclusive Nigerian traditional wedding planning checklist to guide and keep you organized. Our complete Nigerian traditional wedding planning checklist should be used as a to-do list, so print it and tick off the done-tasks, as soon as they’re completed. Oh, I also included a side-note section to help non-Nigerian grooms understand why Nigerians have multiple weddings and the significance of the traditional marriage ceremony. Scroll down for the traditional engagement/ wedding planning checklist. So, he (finally) put the ring on it? Congratulations, you’re engaged. Go out and totally enjoy it. Girl, it’s not easy to get the ring! Show off your engagement ring. Announce Engagement to Bride’s Parents: Have your husband-to-be bring his family to announce the engagement to bride’s parents, and formally ask for your hand in marriage (Naija parents take this seriously. Even if groom is non-Nigerian or even an oyibo guy, he must formally ask for their consent before the whole World hears that you’re engaged). Decide on the type of wedding ceremonies you want and the ones you should ignore (introduction & bride price only (BP)? traditional only (T)? White/ church/ religious wedding ceremony only (R)? Court /registry wedding only (C)? OR do you want to have multiple wedding types such as: T+W? T+C+W? T+C? W+C? Decide: will you have the trad and white/ court wedding on the same day? If same day, will the reception be in the same place? If not the same day, how many days/ weeks/ months apart from each other? (Groom) Ask bride’s parents for the procedure for the customary marriage introduction ceremony and traditional wedding rites, how much is the bride price and ‘the customary engagement list, which is the customary list of items you require to bring to the bride’s family for the traditional wedding. Also confirm who and who should accompany you to the occasion (because Nigerian custom demands grooms not come alone, but with close family members). Book rentals (such as canopy tents, tables and chairs) and venue decorators for the trad wedding reception. Also book a good photographer and video coverage person for the day. Now, this side-note is for a man (especially, a non-Nigerian) who is preparing to marry a Nigerian woman. It’s aimed to help you understand why you’ll be having at least 2 different types of wedding ceremonies (aka wedding parties), when taking a Nigerian bride. Nigerian weddings are fun, colourful and uniquely different from the rest of the World, and typically starts from the customary formal introduction ceremony (of groom’s family to bride’s), traditional wedding (also known as the ‘traditional engagement ceremony’). FUN FACT: In Nigerian culture, a Nigerian woman is not considered married until her groom completes the customary traditional marriage rites. So, it’s very important and of necessity. Is the Customary Traditional Wedding legally recognized in Nigeria? Yes, the Nigerian traditional wedding is complete on its own and is (legally) recognized. Therefore, other types of additional weddings (such as a religious / worship-house wedding or a court wedding) is an added-bonus, which every Nigerian person likes. History: The customary traditional wedding ceremony used to be the one and only marriage ceremony in this part of the World. Religious and court weddings are borrowed culture from the Europeans – and also a welcome culture, since we generally love parties and celebrations. So, how many weddings am I expected have? I already touched on this in Step 3 above (decide on types of weddings to have). But I’ll explain again – expect to have more than 1 wedding, because a typical Nigerian has multiple weddings – the traditional wedding and any or all of these: (a) court-house wedding (b) religious wedding at the church or mosque or other). It’s a normal thing this side of the World. So, when marrying a Nigerian woman, you should know that the Nigerian traditional is a must (for every Nigerian bride). So, for minimalists, the number is only one (traditional) wedding ceremony, after which you may apply for a marriage license from a Nigerian state. Just to let you know, some Nigerian married couples had only the traditional wedding, and some are still having only the traditional marriage. If, like most Nigerians, like colours and fun, you can either have all 3 (traditional wedding, court wedding and religious wedding). OR like many Nigerians, you can have just 2 wedding events: either traditional wedding and a religious wedding OR the traditional wedding and court wedding. I hope the above Nigerian traditional wedding checklist of to-dos helps you plan a beautiful ceremony. If you start planning early, from a few weeks or months after the marriage proposal, you’ll feel less stress close to the date of your trad wedding event. Did I miss anything that needs to be done before a traditional wedding in Naija? If so, add it in the comments box below. -That the groom will not be at the traditional wedding ceremony is not new. I have seen people do that, for same reasons you stated. The dos and donts? I believe that would depend on how your particular people/ village handles it, and so you’ll have to let your family members know about the situation and ask them how such situations (absentee groom) has been handled in the past (as yours would not be different. -Venue of traditional marriage ceremony is usually the bride’s father’s compound. It’s not that complicated, so no need to lose your mind – just carry your family along and don’t pull up surprise information on them, last minute – and they will guide you. Your family will even ask your village elders for any missing information, on your behalf, where necessary. Traditional weddings are all about customs of the bride’s people, and you cannot go wrong if you open up to your people and ask for guidance. 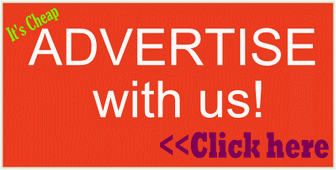 Hello Annette, we have a sort of Yellow Pages for Nigerian wedding vendors (in Nigeria, USA, UK) on this GoodgleDoc page (click). On that list, serial number 68, you will find an Alaga (officiant) in New York, USA. 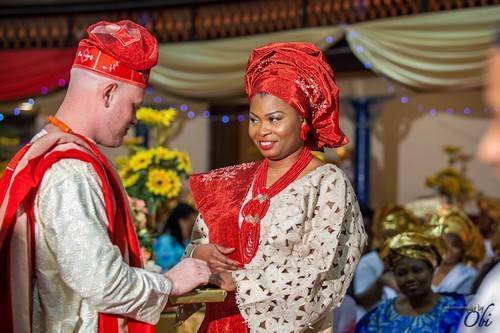 *Traditional wedding officiants are called ALAGAs (for Nigerian Yoruba weddings). Your blog is really amazing. Thank you for helping clueless brides to be like me. When I got engaged, I didn’t start any planning because I didn’t want to be too forward. Now a date has been fixed for the traditional marriage (August, 2018) and I’m getting anxious. My fiance is from the North (Kaduna) and I am from Calabar. We are working with 200 guests and we picked royal blue and silver. I’ll like you to help me with a third color and how to combine them. I’ll also like to know if my mom and his are supposed to wear the same outfit from top to bottom. -No, your mom and mother-inlaw do not have to wear “and-co” uniformed-outfits. But then, if you want them to wear a uniformed look, that’s fine. Not by force. Lol. gold, Ivory, peach, Pink, Orange, Coral, Champagne. I hope the above tips help you. All the best! Hi, I’m a young man dating my soul mate. I plan to propose soon but I just keep being scared of wedding costs. Truth be told, I wish we could skip the money spending and just move in together and enjoy the mone together. I don’t have a choice though, there are more people involved in the matter of a wedding other than just myself and my girlfriend. My question then is, with N2million, can I service both my traditional and white wedding if I am doing it outside lagos (Abeokuta/ North). Every lady wants their wedding day to be a wow experience and memorable, so I want to do that for her. The white wedding – guests should not be more than 400 people. Trad- 150 people. So how possible is it to have a traditional wedding and white wedding for 2 million naira. Hi Faj, yes, N2m would be enough to give you a decent trad and white wedding. You are doing very well so far – such attention to detailing what type of wedding you want (guest number and budget specifics) is the best way to start planning. >Hiring a wedding planner to coordinate the pre-wedding and wedding day activities can help you get more bang out of your money, and bring your wedding-day dreams to life. You’re doing a great job, ride on! Hello Maureen. Congrats on your upcoming wedding. Yes, you can choose to appear in your Yoruba traditional wedding attire, and later change to Benin wear (ir vice versa). A rough guide on how to spend your wedding budget is to reserve half of the amount for catering (food and drinks), and then take out your venue rentals (which you get from doing market survey and pricing), and then spread the rest on your attires, paying vendors for services (wedding cake, MC, DJ, hall decoration etc). You can also use our suggested percentages (click here) to get a more detailed wedding budget allocation on each wedding expense type. – For a small (few) wedding guests – because you can’t feed plenty people under that budget. These days, even rich people are having small weddings with few guests, and it looks more classy. You don’t have to invite everyone you know, only very close friends and family. – A free venue (your backyard or any free place) or an open garden or garden space in a restaurant or bar. – The low cost can easily be achieved IF the location of your wedding is not in a high-brow part of town. The village is usually great for a low-cost wedding because you’d have a family house with big front- and back-yards that can be used for wedding ceremonies, OR host the event inside the church or a nearby playground/ field. ON FOOD: Let’s assume that you will use half of that amount for food and drinks, then you could plan to have 100 guests (IF your caterer charges N1k per plate of food, and N250 per guest for a drink); OR you could have 50 guests for N2,500 per guest for both food and drink). That’s an example. ON THE REST OF THE MONEY: Once you spend half on food and drinks, and you have a free venue, you can spend the rest on your outfits, pictures, DJ/ music band, MC, venue decoration etc.. – you can even have relatives help with some, for free. I always advice brides not to be stingy when looking for photographers (spend on the best photographers around), and don’t use free people unless you want to risk not having good pictures to show for your wedding. Those are my tips for you. Use our search box to find more tips on classy low cost and glam small weddings. Hi Betty. Thank you for that feedback – we love to hear our readers tell us what they like or not. I hope those help, Betty. am an Edo lady and getting married to a Yoruba man,I was born in Lagos and live with my family till date(dad late),but my uncle’s who care less of us for over 19years of my dad exists,wants me to come to d village for d wedding and people are not willing to travel a long distance(guests).and he refused to come to Lagos.now I intend to go ahead with my mum and maternal family for d occasion in Lagos and afterwards go and give them their right after I put to bed in d village. (I don’t want to travel with my condition).what do u advise? Hi Stephanie, I feel your pain. While we know that the tradition across Nigeria peoples and culture is to have traditional weddings in the village, these days, we are seeing more people choosing to have their traditional weddings outside their ancestral Nigerian villages. But then, some cultures take it lightly and others are hell bent on keeping traditional marriage ceremonies in the villages. In your case, your mom is in the best position to advice, as she knows the dynamics in your father’s family. She would also know whether it would be okay for you to do the customary marriage rites after you deliver your baby. So, ask her, as she would know a family or two that has had a similar situation. I would also suggest that you and your mom find other relatives of your father (close and far) to discuss this issue with, and see how to use them to convince your uncle to let you have it your way – or take sides with you on the idea of giving the village people their rights after your baby is delivered. If you must go ahead with your plan of having it in Lagos, be sure to involve other relatives from your Father’s side. That’s my advice. Good luck! We don not have that at this time, Joy. I suggest you ask from your relatives or friends from Idoma who may have an idea. Thanks for visiting NaijaGlamWedding blog. 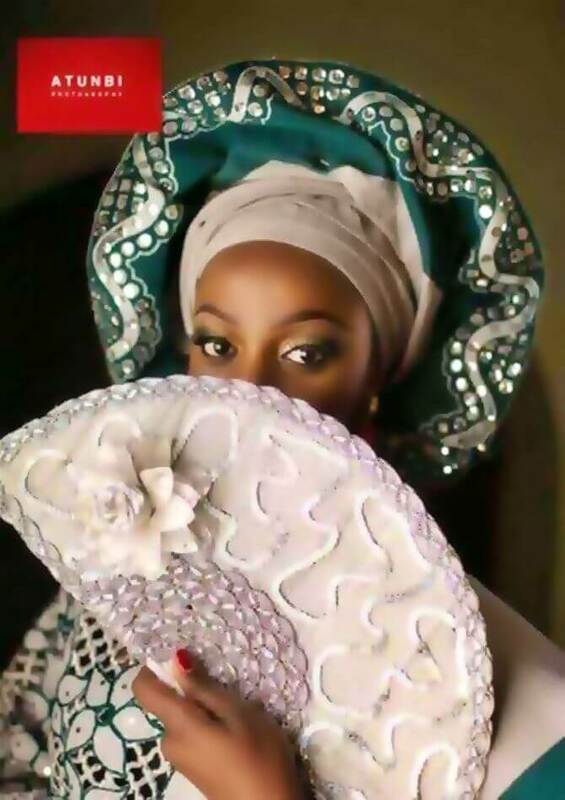 Feel free to read our many other tips and advice for Nigerian brides. Am from calabar want to marry a lady from igboland. And right now am in imo state workin and she’s in lagos workin also. She ll come down to imo to spent some time together, and i also go to see her in lagos . But the problem is the traditional wedding. If i want to go and make. What i call knock at the door, what am i going to do because am in imo state along. No money to transport my people down to east. WAT AM I GOIN TO DO? Hello Felix, congratulations for making the bold move to plan on doing the traditional marriage rites for your wife-to-be. You should first go alone to greet her parents, maybe with one or two friends. There you will ask for the ‘marriage list’, so that you will go back and save money for when you will come with your people and buy the items in the list, and bring to her people (for the traditional marriage ceremony). >>Click here for our guide on how Igbo Traditional Marriage happens, so that you know each stage and how it’s really done. Hi, my traditional and white wedding is in dec. 2016. But I haven’t started planning yet cos I dnt even know where to begin. Plz could put me thru on this. My white and trad would be on same day and a low key wedding but wow, that’s what im looking at. Tnk u. If you follow those tips, I’m sure you;ll have a perfect wedding day celebration. Be sure to send us feedback after everything. All the best! I was told I need two alagas is it really necessary? I cannot find someone who beats talking drum as we live in the highlands so very few black people, what can I use to replace this. Also during the ceremony when will people start eating and dancing is it after I cut the cake and my in laws go and greet my parents? if so how do I seperate eating time from dancing tim? when do we change to our igbo attire? finally how long should the event typically last for? Hi Mary, congratulations on your upcoming wedding, and thanks for reading NaijaGlamWedding’s Nigerian Traditional Wedding Planning Checklist. -The entire event takes 3 hours maximum, but that depends on how fast the Alaga is. -Food is served to guests (BUT small chops should be served in-between the ceremony earlier, so people don’t get hungry. *But usually eating starts when bride has entered the hall ). *NOTE: Answers to your questions were provided by one of our wedding expert panelists, Sunmisola Nwanze from SHINE Events. *Sumisola is a wedding/ events expert planner that helps plan weddings and all types of events from conception to finish and also provides waiters, urshers and other vendors at events. *To hire her, call 08027736616 or 07033283595; BB Messenger Bbm-5bfb61ff OR Email her at sunmialffy(at)yahoo.com. She is based in Lagos, Nigeria AND available to travel anywhere your event is. *You may also call her to thank her – she’ll be thrilled. Na was for u oh Stella! There r loads of other tribes in this amalgamated 9ja outside the Igbo, Yoruba & Edo tribes. They seem to be ur focal point all thru ur site- not fair or nice at all.. I know they might be the majority of ur catchment area but try comping down South ( do a lil research here & there) Thanks! My dear Pearl, abeg make you no vex for me. I have plans to cover traditional wedding lists on as many Nigerian tribes as possible – na small by small. Lol. Okay where do you want me to cover next? If you’ll help us out with a few info, let’s do it. *I had volunteers that helped provide information on the ones we already covered, just to ensure that we had accurate information. Thanks for your candid feedback – it helps us know how we’re doing. Am segun, yoruba guy dating idoma lady that i met when i went for Nysc she lives in makurdi benue state i live @ibadan how can i reduce the cost, considering the distance and and there culture which may require certain number of people and the food is not left out. I love it when a groom-to-be has a good handle on his wedding plans, and they always pull off a great wedding. Let me congratulate you on your upcoming wedding. I wish you the very best! Hi! can i plan my wedding (trad and white) in just 1month? -It you want a small wedding where you’ll only invite a few very close friends and family who don’t need an advance notice to be at your wedding, and who can cancel every prior commitments to be at your short-notice-wedding. Typically, people need about 2 months notice if you want them to attend your wedding. So, when planning a wedding in one month, only invite people you’re sure would attend. -IF it’ll be a not-small wedding AND IF you’ll hire a wedding planner to do the leg-work for you, take all the stress from you and find the right venue and hire every good wedding vendor for you. Finding a good venue and good photographers, caterers and other vendors in a short notice is difficult, but wedding planners know many of those people and can easily find available ones. Planning a short-notice, classy wedding is a lot of work, and if you’re doing it on your own you may not be able to know where to ask or find a good venue or good vendors in a short time. Wedding planners have worked with tons of other wedding professionals and can quickly assemble them when a client needs them. *Traditional weddings could be at your village and with very close family members and that can always be arranged in a short notice. -There’s no one-and-only-way for how it is done. You are free to choose how you want your bridesmaids to look on your wedding day. The only commonsense rule is for the bride to be REALISTIC in what she asks, when bridesmaids are the ones buying their outfits themselves. – Help them pay for 1, and ask them to buy 1 themselves – that is if you choose to have them wear different uniforme outfits for each of your weddings. – Make them spend on only 1 outfit for your big day. So, you choose the most important one for you and make that the one they wear a uniformed outfit. So, that they would wear what they already own for one wedding and what you specified on the other wedding. -OR Make them wear a neutral style uniform outfit for both weddings. This could be a Nigerian style long gown or dress, that could pass for bridesmaid dress and also look great as an asoebi. You can get ideas/ inspiration from these long asoebi gowns (click). Even though it’s your wedding day and you can make your BMs wear what you like, you need to be realistic and considerate and not over-stretch them, OR they will complain behind and secretly hate you forever. Hope that helps you deal with your BMs, Hadassah. I wish you a fab wedding! Hi my name is Christina. I am marrying a Nigerian Igbo man. I am from the USA. I am trying to figure out how to have a traditional wedding within a tight budget here in America. I have wanted a traditional wedding since we have been together it’s so beautiful. -Have the tradtional and white wedding on same day, and you’ll save plenty of money (you can treat your guests to only 1 party and avoid spending on feeding guests twice (for the trad and reception – now the trad and white will have only one reception). -Have only one or 2 outfit changes, so that you’ll save cost on the traditional wedding attire (they are usually expensive). -Keep your eyes on low-cost but authentic Nigerian fabrics, and research/ ask around for authentic suppliers or shops whose prices are moderate. -Keep food choices minimal. Usually in inter-cultural weddings, couples tend to want to serve foods from both cultures – that’s okay but keep the choices minimal in order to save costs. Let me know if you still have questions. Again, congratulations. I’d love to see the pictures after your big day – have fun planning it! i’m a yoruba lady, getting married to an igbo man, in regards to the traditional wedding…i’m not quite sure how to plan the traditional wedding of both tribes as one, without making one side feeling left out?. Would it be better to have 2 separate ones? if not how would i incorporate them into the day as one?. 2) But before the traditional wedding, he should have formally asked for your hand in marriage from your parents, so that they can provide him with the customary Yoruba engagement list (see a sample here). I am an Igbo woman marrying an American man. I am already very overwhelmed because of having to have two weddings! I have always dreamed of my traditional wedding and then a small white wedding. Even though my fiancé is aware of everything that comes with marrying me, I feel guilty that he has to spend all of this money. I want a house in the future, not to spend all of this money on a wedding. Advice please!!! How can I have both at a reasonable budget? Hello Didi, I feel you. Trust me, I understand how you feel; what you’re asking is one of the questions we get asked every week by other brides (grooms too). -For the white wedding: We’ve already written so many ways to cut down costs – click here to see our helpful tips. -For the traditional wedding: It’s hard to keep out unwanted guests if your traditional wedding will be in your village compound. But here are some ideas: (1) skip having a big ‘igba nkwu’ party – keep it very quiet, within only very close family members and your fiance’s family (not necessary to invite friends – invite them to the white wedding only. OR have your party your way – small and classy at a far location, say a small hall at a hotel not too far from your village, so that most gate-crashers cannot afford to transport themselves there. Some couples just keep it at bride price payment and presenting items on the engagement list, AND then parlour merriment with the few people involved. Hello Linda, welcome (home) to our Nigerian Wedding advice blog:) We love Ghanaian brides. In Nigeria, and most African countries, traditional weddings are done at the bride’s side, and so the attire usually reflect the bride’s cultural wear. So, the bride is supposed to dress up in her own cultural bridal wear. Yes, the wedding is done in the Ghanaian way, in your case. 2) However, when it’s an inter-tribal or inter-cultural wedding, like yours, the trend is that a bride (and the groom too) could go for 2 different looks that touch on each side. BUT today, a lot of couples are changing some of the norms – and we’re seeing inter-cultural couples having their weddings reflect the foods and clothings from both the bride’s and groom’s sides. **An example is to have 2 or more traditional wedding outfits – including one Ghanaian traditional wedding attire AND one Yoruba traditional wedding attire. You can click here to see many latest Yoruba aso-oke styles and colour combo, to inspire what you’ll wear as a second outfit. I hope I have answered your question, Linda. Congratulations, and be sure to come join our bridal communities (click here). Hi, I’m a Yoruba lady getting married to a delta man. We are doing only traditional but I don’t know if it’s okay to wear 3 outfits including a delta outfit.Can you advice on this please? Hello Kay. First off, congratulations on your upcoming traditional wedding. It is very okay to mix-up traditional outfits from both sides, during an inter-tribal or inter-cultural wedding. In fact, that is what we usually advice our brides – we see brides choosing to come out in 2 or more attires, one from their own tribe/ culture, and another outfit from their partner’s culture. **So, yes – your 2 outfit choices are very on-point. Hi, pls I write to find out the stages involved in combined event the white/traditional marriage. Starting from the church to the bride’s place till the end. Hi Calistus, there are 2 ways we see couples doing it: (1) Start with the traditional early in the morning (introduction and bride price), and then go to the church for the joining/ solemnization; then do a combined wedding reception after church. (2) White (church) wedding first, followed by the traditional marriage ceremony. (3) Another way is to have the white in the morning and traditional in the evening; Some couples do the bride price part early in the morning and leave the Igba Nkwu/ party for the evening, combined with the white wedding reception. *How you choose to spread the time is up to you, and depending on how far apart the traditional wedding venue is from the Church and reception venue. In any case, you would want to leave a good amount of time in-between to enable you and the guests to get there on time. *If you start with the traditional engagement, the bride price part could be done early in the morning – this can sometimes drag on for hours, and you can arrange to leave the elders and parents on it while the couple head to church for the white wedding vows. *Combined reception: You could merge the traditional engagement reception party/ Igba Nkwu with the white wedding reception into a one big after-party. *Both marriage ceremonies (traditional and church) start from the bride’s family house, and the combined reception/ Igba Nkwu would also hold there or at a venue near her place. Hi Calistus, welcome to NaijaGlamWedding and thanks for your question. You left this same question as a comment to our ‘Igbo Engagement List’ article, and I have just replied with a very detailed answer. Please click here to read my reply to you on this particular question. We’re wishing you a smooth planning. Cheers. Welcome to NaijaGlamWedding, Morenike, And thanks for your feedback and observations about the Nigerian wedding industry. Yes, things have really changed, and the weddings are turning out more sophisticated. The traditional marriage checklist isn’t available for download as thr’s no link to it. Pls do sumtin abt it. You’ve got great insight n mind-openers. GREAT JOB! Oh dear, sorry about that – very soon, we will add that to our downloadable wedding planning tools on our tools page (once we get the time). Thank you for the awesome feedback – be sure to subscribe to this blog by email and also follow us on Facebook/ Twitter? GooglePlus to be the first to know when we publish a new post. Wow, thanks a million for this job. You are welcome, Pamela. Thanks for your feedback. Ensure to follow us on Facebook and subscribe by email.